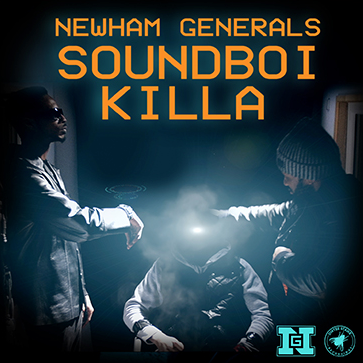 Bringing vibes from grime and reggae together, FOOTSIE and D DOUBLE E making NEWHAM GENERALS are releasing fire with their new track 'Soundboi Killa'. In the video the duo are boisterous and uncontrollable whilst pursing their sci-fi operated mission given to them by producer of the track Toddla T. The video is great quality and extremely unconventional. It's almost like your watching a movie!